Increasing conversions is a primary goal for every business owner. However, in an ever-crowded market, it’s becoming increasingly difficult to get noticed. Therefore, you need your website to stand out – but what’s the best way to do that? One of the most effective ways to increase conversions on your site is to provide ‘social proof’. In other words, you want to let visitors know that other people have already found value in your products and/or services. Displaying positive feedback from other real-life customers means that newcomers are more likely to take notice – and go on to make purchases. In this post, we’ll discuss why adding testimonials to your website can be valuable, and talk about how to do so. Let’s get started! It’s likely that you’ve left a review at some point, such as on a book or a hotel stay. Even if you don’t leave reviews, you’ve probably received countless emails asking you to do so. That’s because these reviews hold more value to a business than you may initially think, and are often used as testimonials. Testimonials are a type of review designed to aid potential customers in their purchasing decisions. They are collected from people who have previously made a purchase on your site, and used as a form of ‘social proof’. This can be an incredibly beneficial tool for any business owner. Social proof is when people view a behavior as more ‘correct’ because other people are already doing the same thing. According to research by Nielsen, 92% of people will trust a recommendation from a peer, and 70% will trust a recommendation from a complete stranger. In other words, potential customers are more likely to believe the opinion of fellow consumers than that of a brand or company. This increased trust is a perfect way for brands to improve their conversion rates. After all, people are more likely to convert with a brand they deem credible (and recommend it to others). 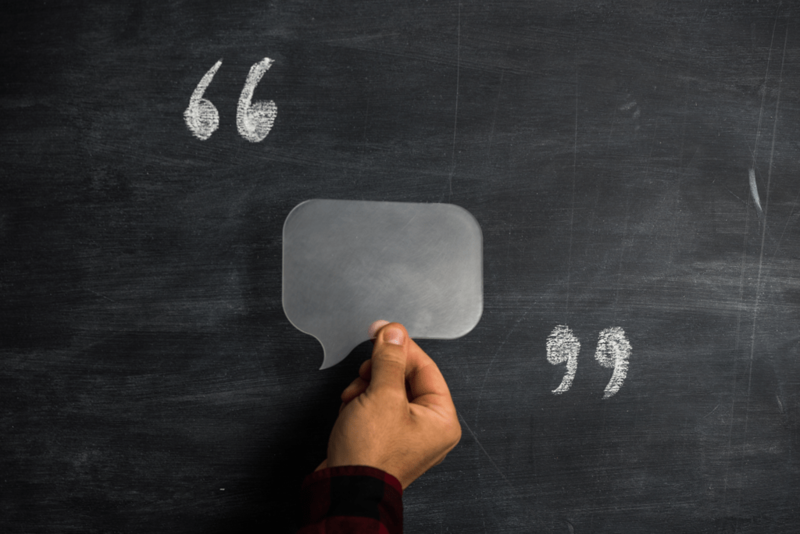 The inclusion of testimonials helps reassure potential customers that your business is reputable and valuable – making this one of the most cost-effective methods for marketing your content. In fact, simply letting people share their opinions helps to build brand loyalty. Asking your users for reviews lets them know that their thoughts are important you, and often leaves them feeling more appreciated. Happy customers who know they are valued are more likely to make further purchases down the line. Hopefully, the majority of the feedback you get will be positive. Of course, it’s likely that you’ll receive a few negative comments too. Although these may bruise your ego, negative testimonials shouldn’t be ignored – they’re a great way to highlight areas for improvement. What’s more, making the changes your users suggest will show them that you’re actually listening. The advantages of including testimonials on your website are pretty persuasive. However, in order to reap those benefits, you’ll first need to persuade your users to actually leave some reviews. The only way you can begin to collect testimonials from your users is by asking for them. Randomly contacting users for a review will only work to a certain extent – we’ve all received, and ignored, emails asking for feedback. On the other hand, pop-ups and alerts that contain a testimonial form can be effective. Another way to solicit reviews is by encouraging users to leave feedback immediately after making a purchase. Of course, although you may offer multiple opportunities to leave feedback, you can’t guarantee that your customers will actually take the time to do so. Involving an incentive is a smart way to encourage them. For example, you could try offering access to exclusive services or providing product discount codes. It’s also best to make leaving feedback as easy as possible. Ask specific questions about the user’s experience, and offer a simple star rating system if possible. At this point, you understand the benefits of testimonials, and know how to start collecting them from your customers. However, you still need to learn how to add them to your website. In order to do that, you’ll need to find the right plugin. 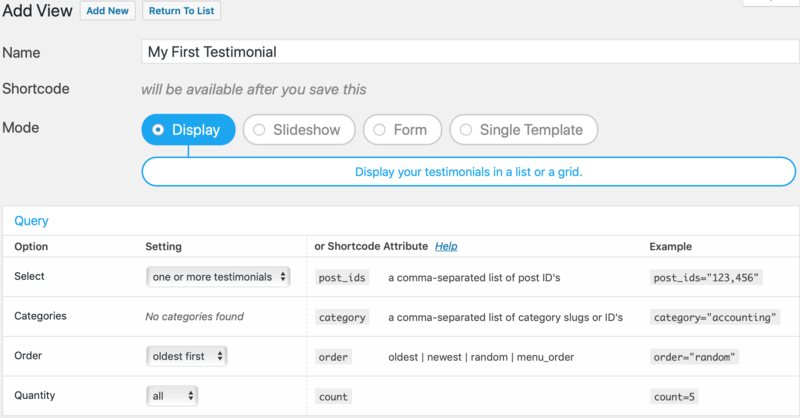 A dedicated testimonials plugin can drastically ease the creation process. Fortunately, there are a number of excellent options out there. Popular examples include Strong Testimonials and Testimonials Widget – both offer several navigation options, the ability to embed multimedia content, a range of layouts, and numerous other features. 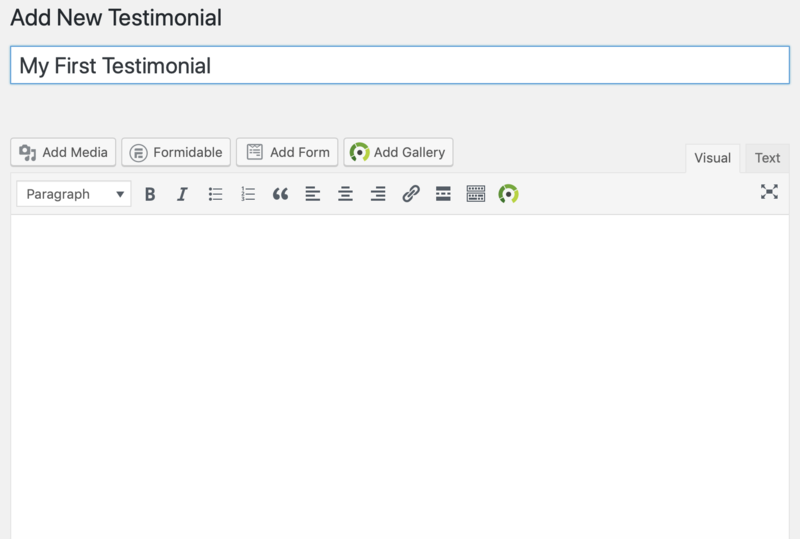 From here, you can use the familiar WordPress editor to create your testimonial. You’ll start by creating a title, and pasting in or writing the body content for the testimonial itself. You can also add an image to your testimonial, using the Featured Image section in the right-hand sidebar. Once you’re done customizing the testimonial, go ahead and publish it. Then, simply repeat this process for each one you want to create. On the resulting page, you’ll be able to adjust the way your testimonials are displayed. There are a number of available layouts, such as slideshows and grids, so feel free to explore the options until you find one that works best for your site. Add this to the page, post, or widget area where you want your testimonials to show up. You’re now able to display customer testimonials on your site! As more and more small businesses go online, getting your products noticed becomes increasingly difficult. This lack of visibility can have a negative impact on your conversion rates. Of course, high conversion rates are essential for any company – and user testimonials can be a great way to achieve them. Testimonials provide needed social proof – letting visitors know that the services you offer are legitimate and of value. Implementing testimonials using WordPress plugins like Strong Testimonials can boost conversions, increase brand loyalty, and even provide a source of feedback for future projects. Do you have any further questions about using customer testimonials on your site? Let us know in the comments section below!